Members of the Bay of Plenty Multiple Sclerosis (MS) Society say they are on the brink of closure. The Bay of Plenty Multiple Sclerosis (MS) Society are at risk of closing due to financial losses. Over the past 18 months, losses have left the society $20,000 in debt. Field officers have also been released. 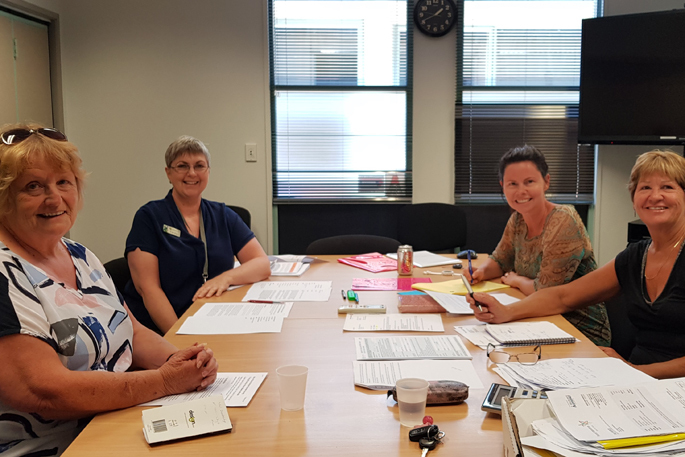 Alternative arrangements have been made for those suffering with MS in the Bay of Plenty region, who will now access advice and support from MS Waikato. Newly elected president of the Bay of Plenty MS society Sharon Hitchcock has experience working with Bay of Plenty charitable organisations, as well as having a strong track record of governance mentoring. Sharon, along with current members have formed a new committee. They are urging members and the wider Bay of Plenty community to show their support for the struggling society. “We are appealing for donations and voluntary support to get us over this hump. Each year it costs $30,000 to run the society. “Unfortunately, while demand for our services has increased our income hasn’t risen to match this need. The BOP MS society has been operating since 2004 and is made up of 236 members. The society aims to provide essential support for patients’ social, emotional, physical and psychological wellbeing. Volunteer to help with the annual national appeal in September. World MS Day is in May. Donations and membership subscriptions can be made by internet banking: 03 0445 0236737-00 or by post to Bay of Plenty MS, PO Box 15 309, Tauranga, 3144.